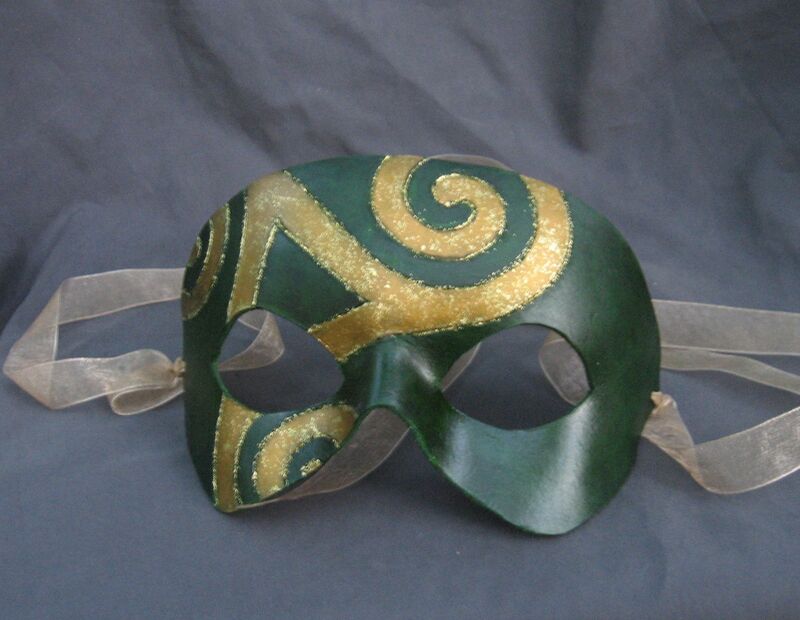 In the last few weeks, I’ve been getting a number of questions about how to make leather masks, what kind of materials to use, etc. I suppose I could make my own tutorial, but there are a number of them out there that are probably better than I could do. Instead, I’m going to use my fabulous skills at wasting time on the internet to put together a giant resource dump. 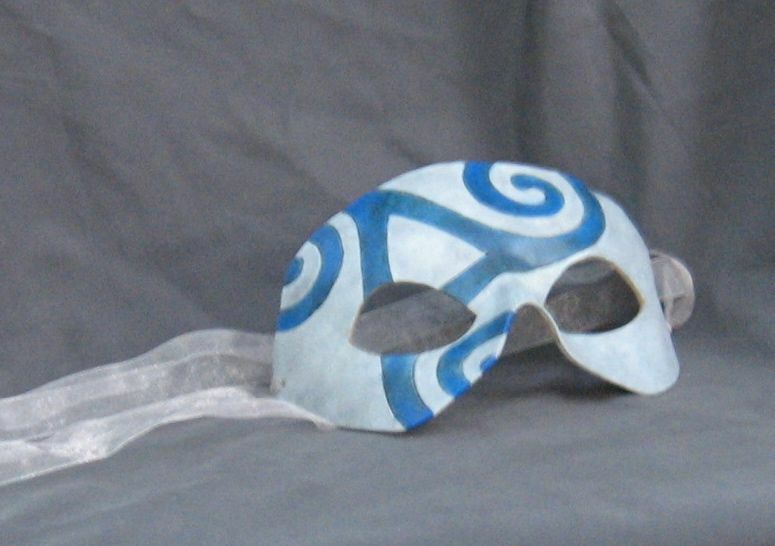 If you know of other good resources for the beginning mask maker, or have suggestions about materials, please let me know in the comments! 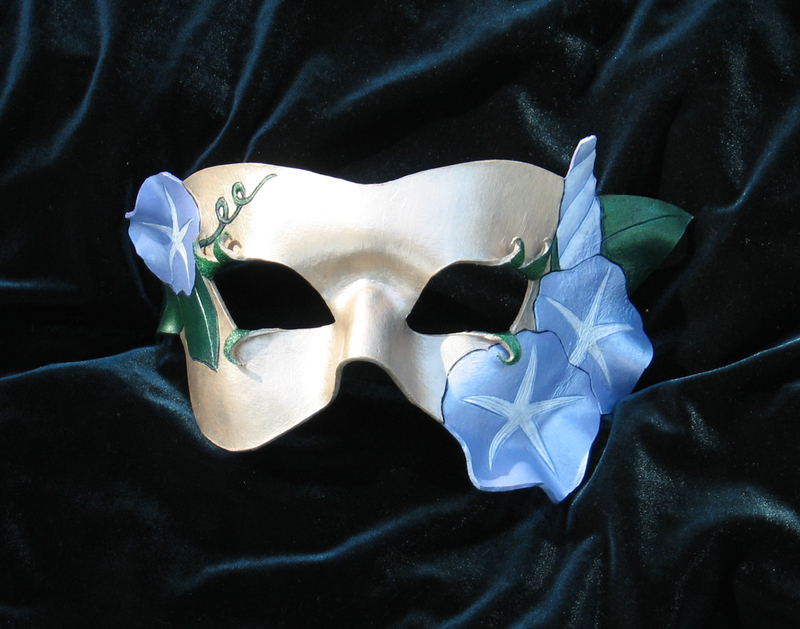 In case it isn’t obvious, I didn’t make any of the linked tutorials, or sample masks (well, ok, I made one of them), and I don’t own any of them. 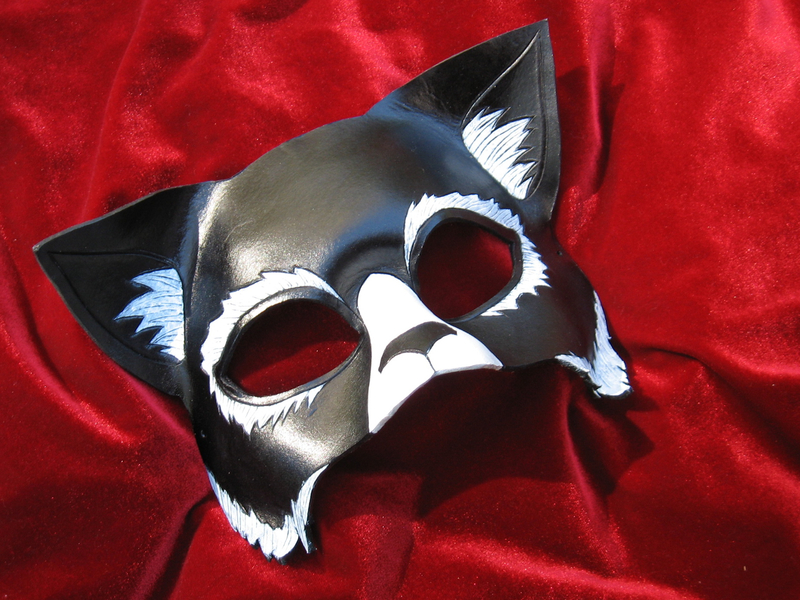 I’m just linking them here as useful references for aspiring mask makers. I usually use 5-7 oz. vegetable tanned tooling leather. For some kinds of detail work, or for layering, I might use as light as 3 oz. Thicker leather like 6-7 oz will be more durable and hold its shape better (this is especially important when you have thin pieces like horns– you don’t want them to go droopy! ), and will give you more visible impressions from carving and tooling. Thinner leather like 2 or 3 oz. will be more flexible, and you can get a lot of folding and detail out of shaping it. So, to some extent, it depends on what you’re trying to make. Here are some examples of what can be done with different thicknesses of leather, done by various artists. Brick and mortar stores are especially good for beginners, because you can go in and get advice, and see and touch the leather before you buy it. Also, they often will let you buy in smaller amounts, which is good for experimenting. For more advanced leatherworkers, direct ordering from a tannery is a great option, because the quality is often higher, and you get wholesale prices. You certainly don’t need all of these things for your first project, but these are the things in my kit. Leather punch, for making holes for the ties. I actually like to use the hammer punches instead of a rotary one, so don’t have to make the hole near the edge of the leather. Liquitex soft body acrylic paints- colorfast, flexible so they won’t craft, and come in about a bajillion colors. Fiebing’s professional oil dye- great, even coverage, but the fumes are terrible. Tandy’s Eco-Flo dyes- sometimes it takes several coats to get good coverage, but they mix well, and no fumes! 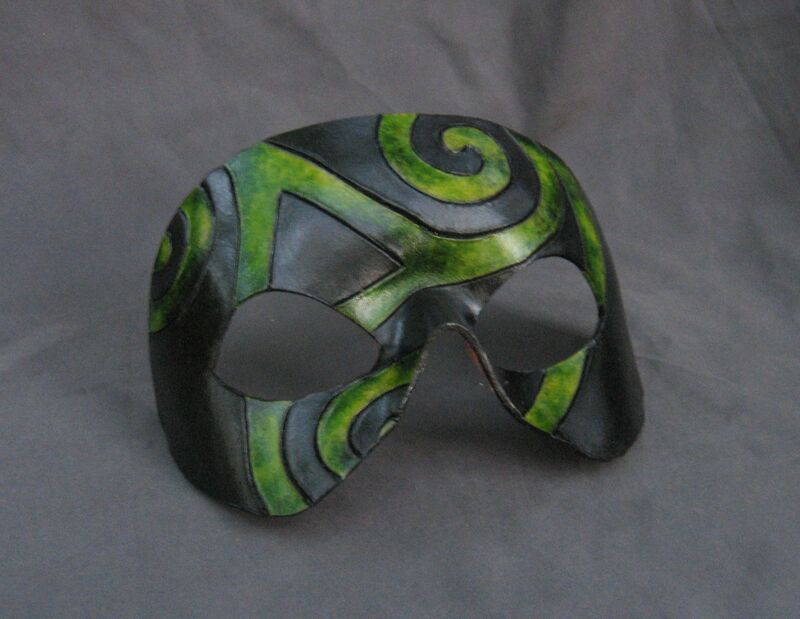 Other mask-makers have recommended the Fiebing’s water or alcohol-based dyes, but I haven’t tried them yet. 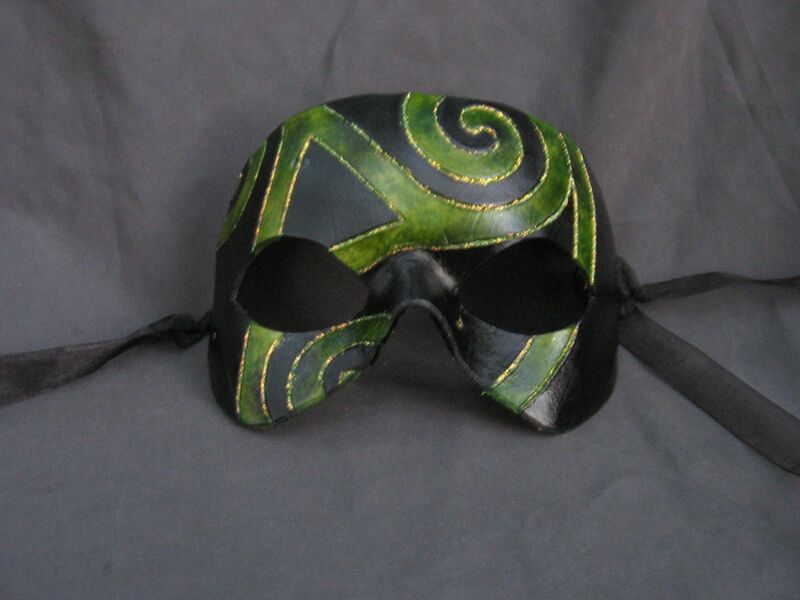 Alcohol-based dyes are good for stiffening the leather, though. 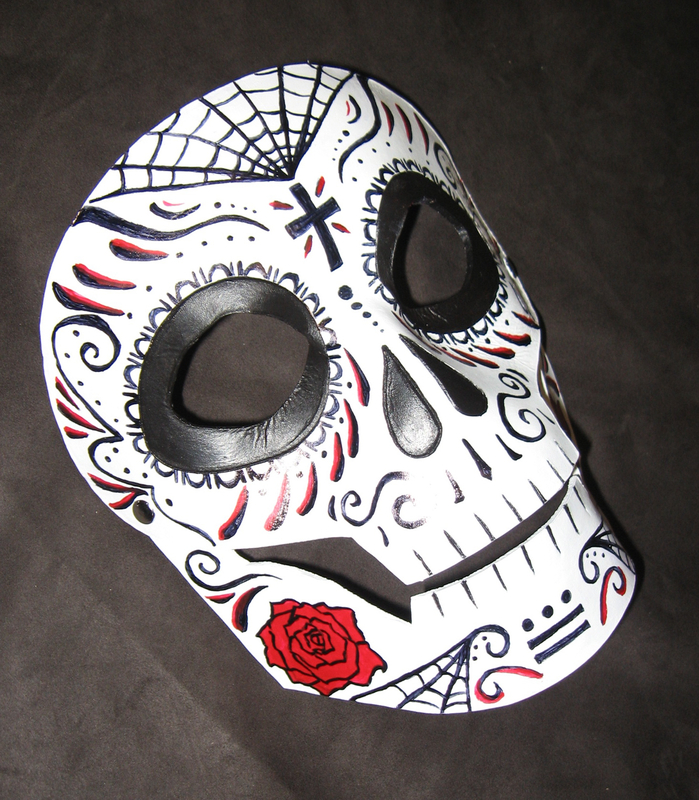 A Dia de los Muertos style skull mask, done as a special commission for a client. I don’t think I’ll make these a regular thing, but I might end up with a couple in my shop next fall, or do them as custom orders once in a while. 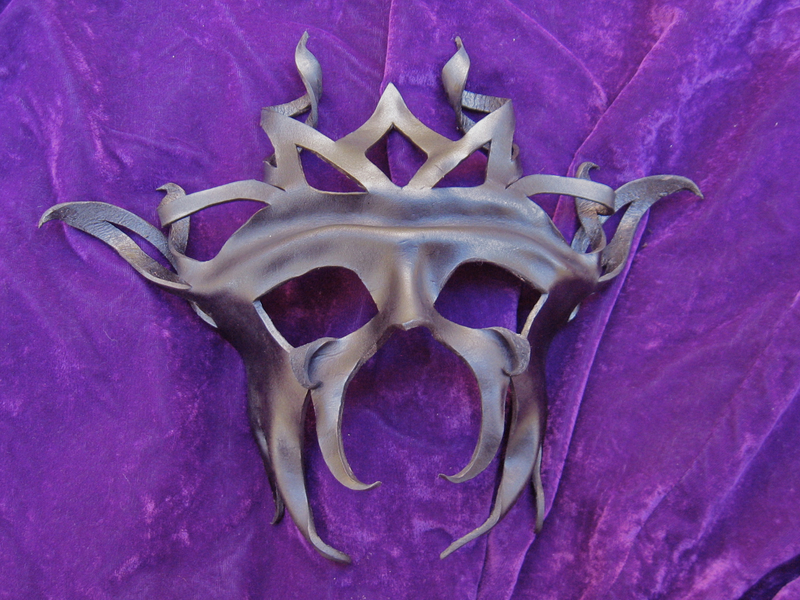 Experimenting with a spookier look, I tried to make this one have a kind of delicate, creepy appearance, while keeping it durable for repeated wear. It’s really black in person, I swear. Stupid gloss finish. The glossy leather sealant looks really good in person, but I’ve yet to find a way to photograph it well. A couple of new twists on earlier designs– one with roses, and one with morning glories. 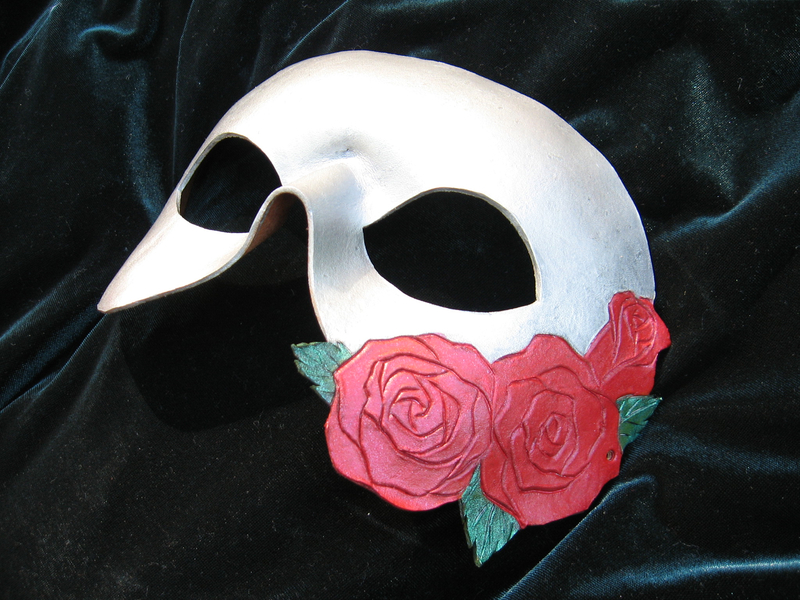 It’s fun arranging the flowers on the masks so that it’s most flattering to the wearer’s face.